"WAZA" is from the word judo which technology. 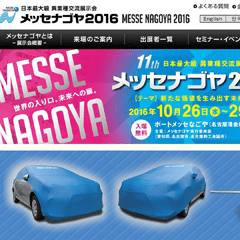 It's a new technology Japan can be proud of. 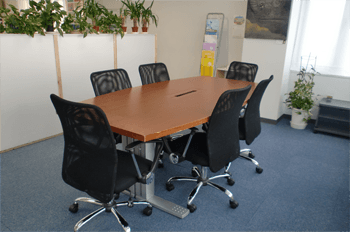 It's an innovative technology of the patent acquisition. 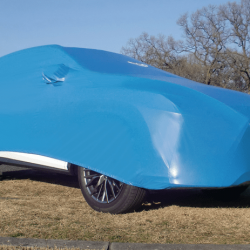 It's a new technology created through the development of the sheer passion without compromise. 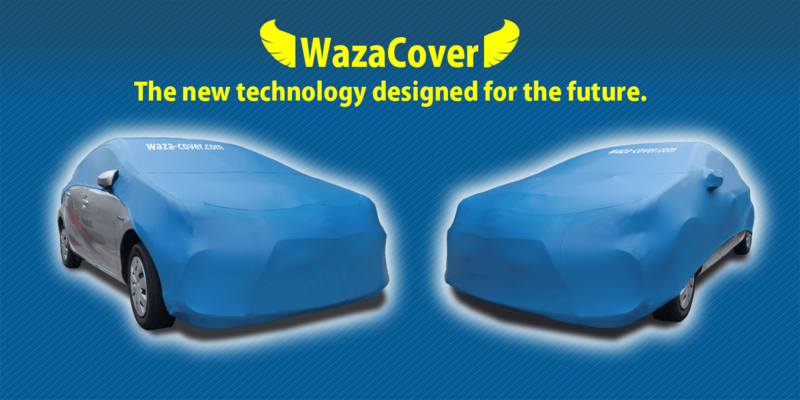 WAZA-COVER offers quality that no other brand can catch up with. The world,s first innovative technology is authorized as patent. 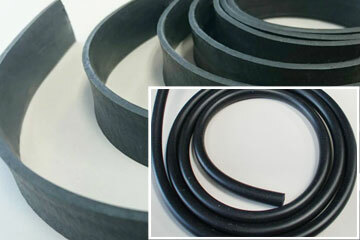 Our product proves that it is the only one authorized with patent technology. 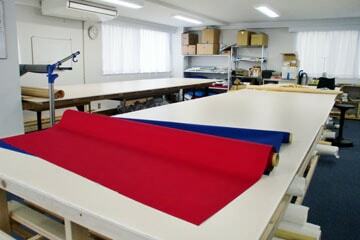 We make use of the high quality technology that Japan can be proud of and show to the world. 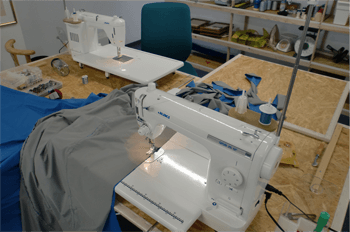 Cloth and a thread, the superior material including parts and an innovative technique fuse, and the completeness of the product increases. When I found out quality in response to the demand of the customer, along the way we most some difficulties. However, we dislike compromise. 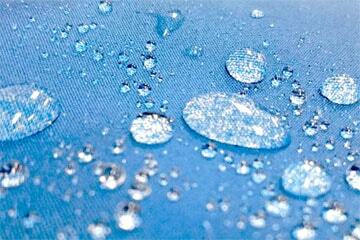 Research and development is done in pursuit of every possibility, the origins of WAZA. The new technology in a certain field brings innovative changes and most of the time these changes spell the difference. A “questioning mind” brings out the best in us and drives us to seek technological advancement. I used the cover before. However, I do not use it because wearing is great and comes off because of wind. I can put on this cover in approximately one minute. Even strong wind is all right. Besides, the stop tab of the cover uses nothing. 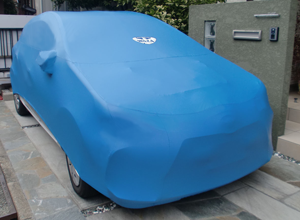 Because the cover fits the body and is cool, it is reputation in the neighborhood. I cooperated with the development of the cover and received a cover. I was surprised that I could easily remove snow on a snowy day. 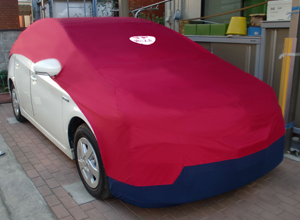 Though I do not use it with a string or a band to fix a cover, a cover does not come on the day when wind is strong either. But the red cover is showy. Because a garage does not have a roof, a car does not become dirty and is glad. 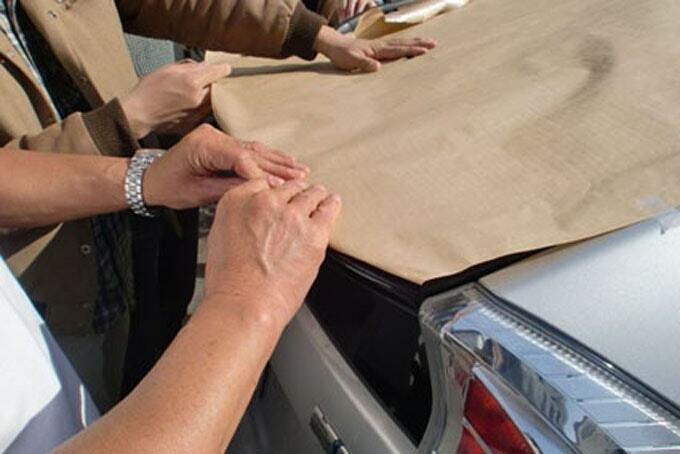 The trunk produces a cover and can easily put it on…! Which even I can easily attach. There is not it with a string fixing a cover! This will be WAZA (Technology)! 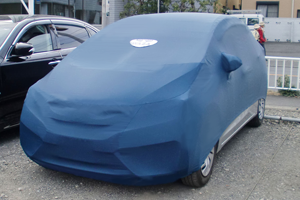 I ordered a car cover for commercial vehicles. Because I do not have time to wash a car, a car does not become dirty and is saved. 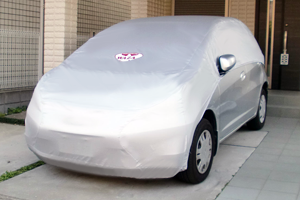 Saturday and Sunday were holidays, it became without worry gone into mischief during parking. For inquiries, Please open the form from the button on the right, enter the necessary items and send a message. The cover for the Beechcraft Bonanza E33 has been completed. Aircraft of “Beechcraft E33” was awarded from Japan Airlines Corporation to Gifu Prefectural Technical High School. 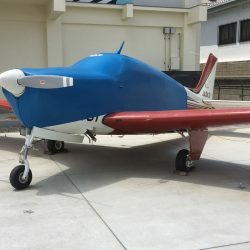 School uses this aircraft as teaching material. 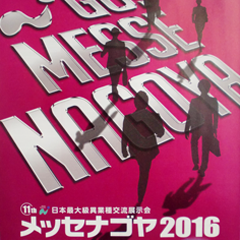 We got an ordered E33 cover from Gifu Technical High School.. 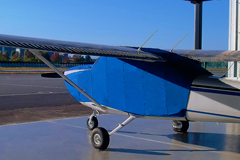 It is a feature of WAZA – COVER, it fits perfectly to the aircraft, it is strong against the wind and rain, easy to put and remove, finished in a beautiful cover. 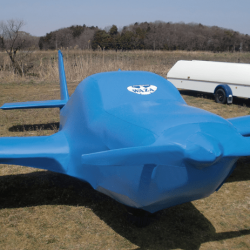 It is currently attached to the aircraft parked in the premises of Gifu Technical High School. 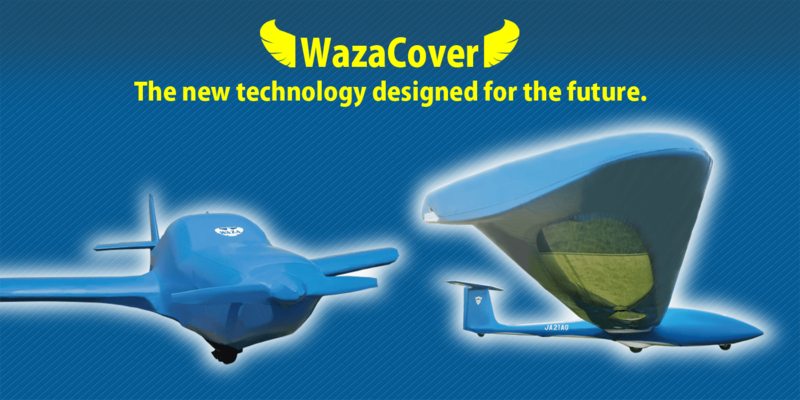 We delivered WazaCover product、ASK 21 model to Aoyama Gakuin University Glider Club. We opened the Tagalog site. 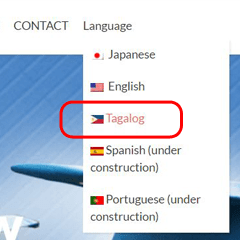 We have added the Philippine Language (Tagalog) to the WAZA-COVER site. For us, Philippines is a very important alliance in the development and in manufacturing of our product. In addition, We are preparing to open a Spanish and Portuguese language in order to respond to the inquiries coming from overseas. 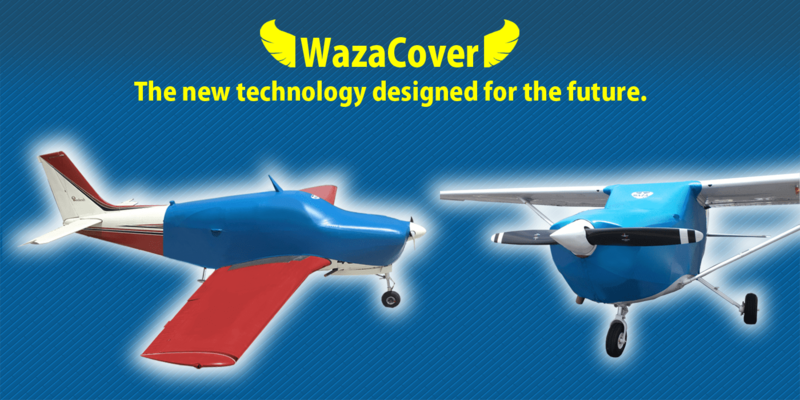 We are looking forward for the deployment of WAZA-COVER in the future. Thank you. 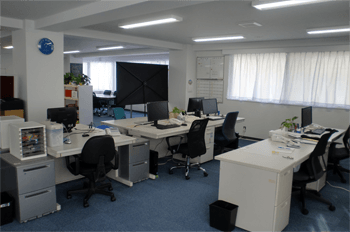 We opened the English site. Because there are a lot of views from abroad of WAZA COVER site, we added the English language. In addition we are preparing to open a Spanish and Portuguese in order to respond to the access from overseas. 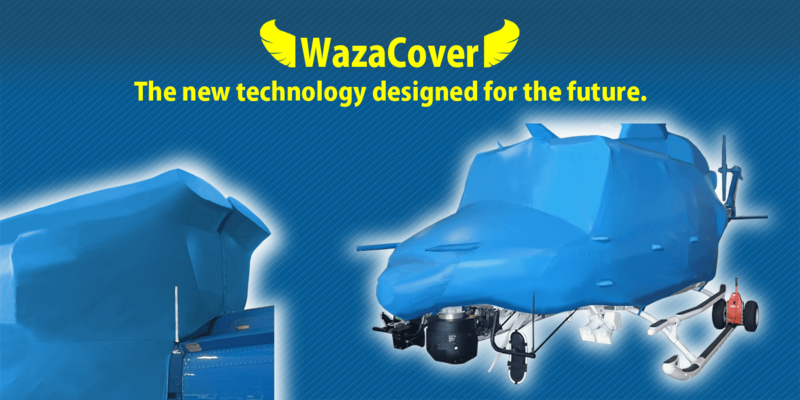 Please look forward to the future deployment of WAZA-COVER! 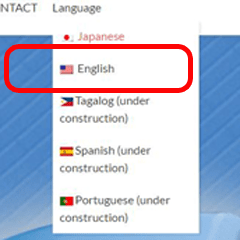 ※ We are planning to open a Tagalog of the Philippines to the language of our site. Philippines for us, has positioned as an important alliance countries in the development and manufacturing.